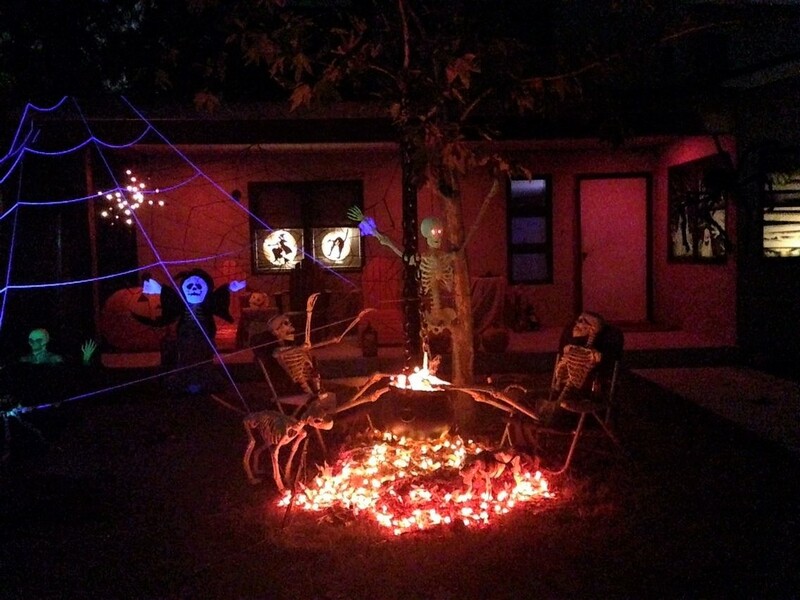 The house listed at the address for Spooky Saloma is the hub for half a dozen other yard haunts that extend up Saloma Avenue just north of Martha Street, forming a collective effort, including a block party on Halloween Night. Most of the houses feature static decorations, but two or three are characterized by sound-activated mechanics - figures that come alive, talk, and/or play banjo when their repose is disturbed by on-lookers. Note: Spooky Salmoa is less than half-a-mile from the Van Oaks Cemetery Yard Haunt at 5822 Norwich Avenue.